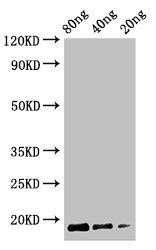 Cyclomaltodextrin glucanotransferase antibody LS-C681895 is an unconjugated rabbit polyclonal antibody to paenibacillus macerans Cyclomaltodextrin glucanotransferase. Validated for ELISA and WB. Unconjugated. Also available conjugated with HRP, FITC, Biotin.